When BMW took the wraps off their prototype 8 Series a few months back the internet was united in a collective gasp of admiration at what the German automaker had created. Then reality set in and we remembered that it was a prototype. Sure, it was amazing, but the production car wouldn’t look anywhere near as good. 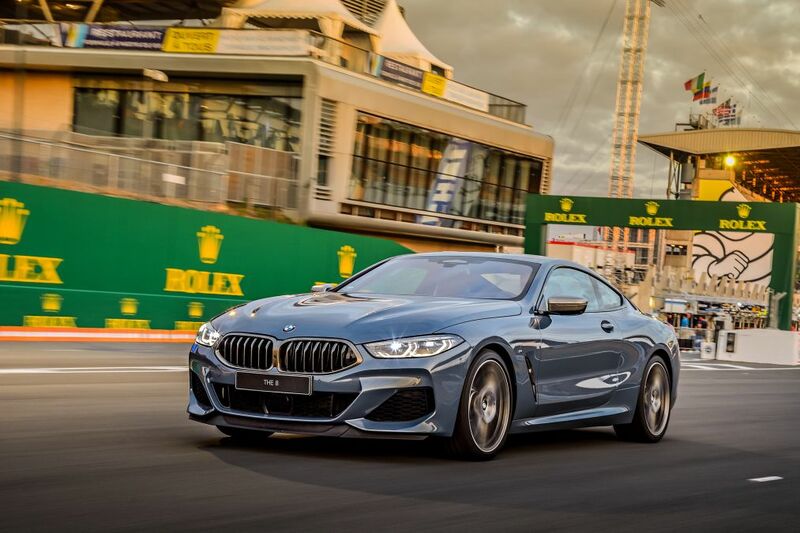 The BMW 8 series would surely be another one of those cars that had been PR’d so much when the launch finally happened, you would actually be a tad underwhelmed. Well, the day of the unveiling has finally come and thankfully no, this is not such an occasion. 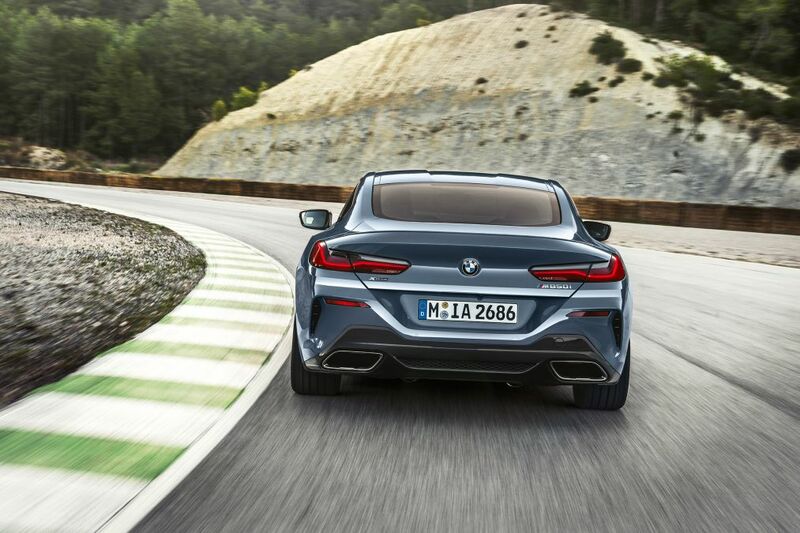 As you can see the 8 series has retained an impressive resemblance to the prototype in most areas and actually its slightly modified appearance in others, do it favours. For instance, the production car’s front end now looks aggressive but natural, unlike the chin on the prototype that was akin to an early rendition of supermans jawline. 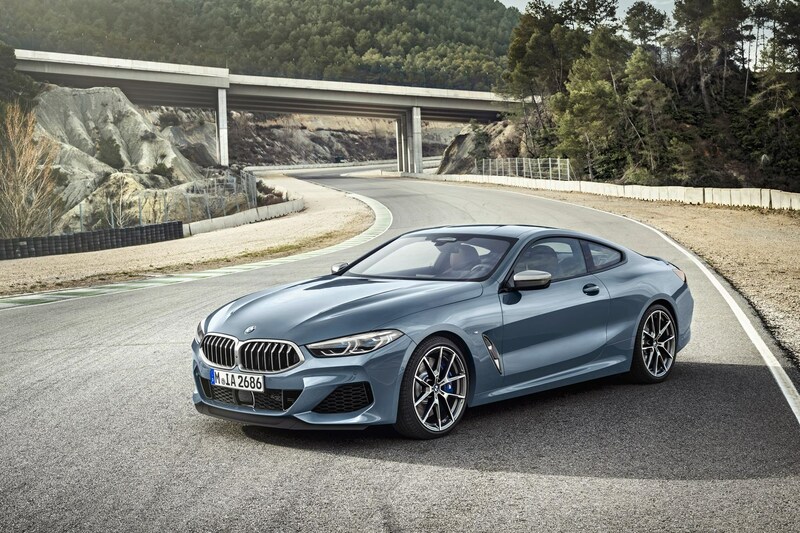 The new 8 series will initially be available in just two forms; the 840d and the M850i with the latter boasting a twin-turbo V8 producing 522bhp. With BMW’s Xdrive system as standard, this motor will propel the new saloon to 62mph in 3.7 seconds. Impressive numbers considering a kerb weight of near on 2 tonnes. As you’d expect you do pay a pretty penny for all that performance. The 850i pictured here runs for £100,025. As enormous as that figure is it should come as no surprise when you consider the cost of the 6 and 7 series BMWs. You are getting a lot of car for your money though. No, literally. 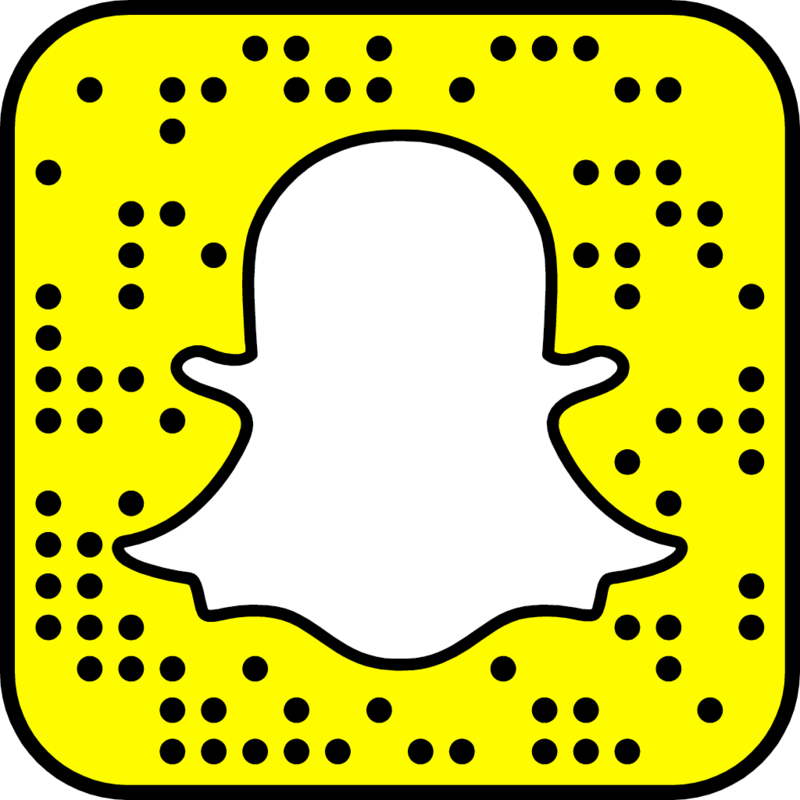 The 8 series is 4843mm long. Although alarmingly that does make it a little shorter than the rival S Class. 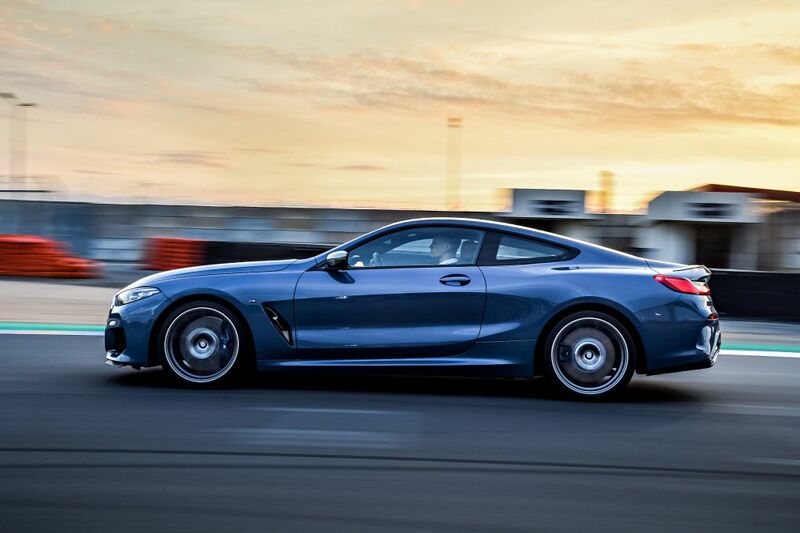 The 8 series is in fact 70mm lower and 3mm wider though, which does give it a more sporty appearance. Inside is unmistakably BMW, but unmistakably new as well. If you’ve seen the new X5 this cabin will look familiar to you. it boasts a 12.3-inch driver display and a 10.25-inch screen mounted to the dash. It’s certainly not as in your face bling as the rival Mercedes or Bentley, but that is more congruent with the 8 Series’ aura. 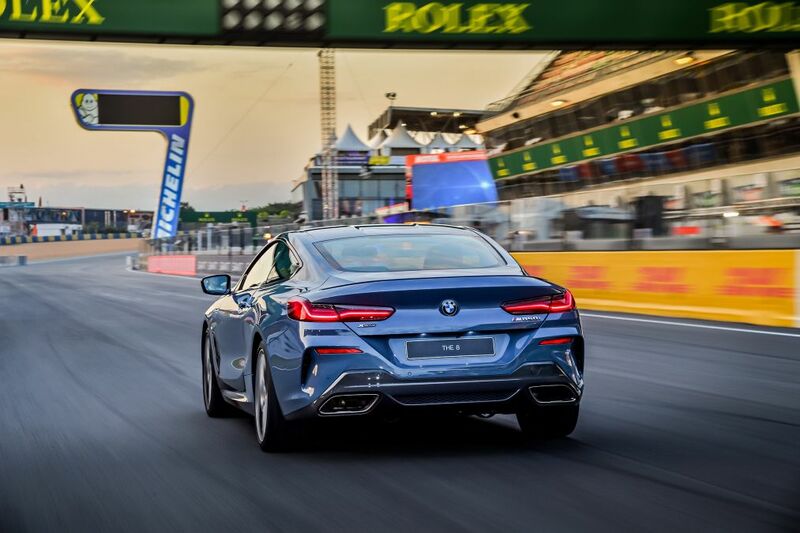 As you’d expect, the 8 series is due a few more variations including a cabriolet, grand coupe and of course the one we’re all waiting for; the M8. No word yet when these will be available but expect it to be in the next couple of months.